A set inspired by recalling the humorous cake topper that my best friend had on proud display at her wedding. I had a look at Google and realized that the goofy cake topper is most definitely a popular phenomenon, and it struck me that seeing Sims model them might also be funny. They came out better than I could have hoped. 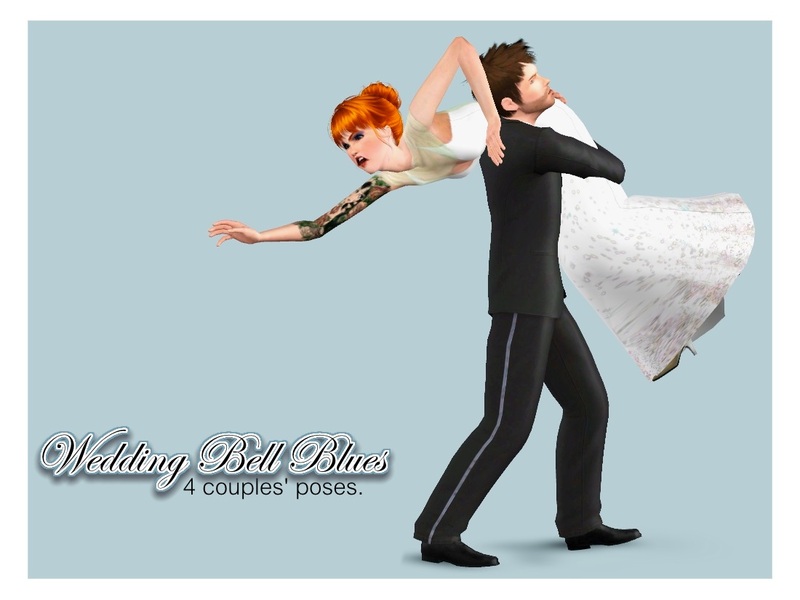 4 adult couples' poses, pose list compatible. These poses were modeled originally to be used with formal wear and long dresses, though of course you can use them with whatever clothing. 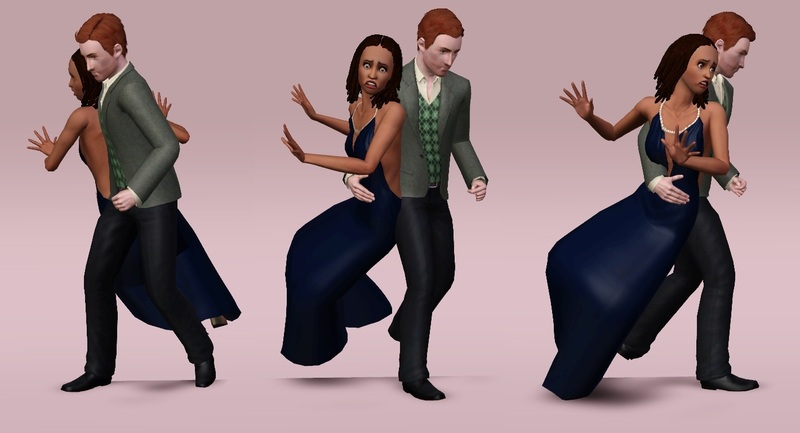 One thing to definitely be aware of is that several of the base-game long dresses (including the wedding dress) will get a graphical glitch while using these poses. You may need to switch dresses a few times to find one that works! Depending on the size of your sim/clothes mesh, you may need to alt-slide these for correct positioning. 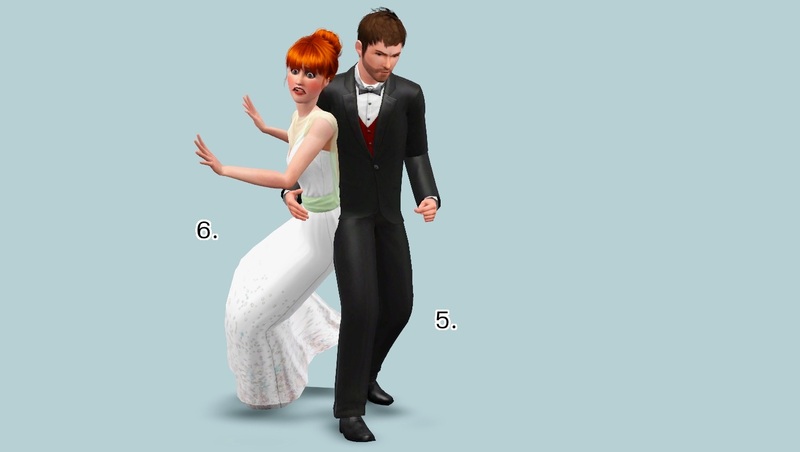 You will need to use "moveobjects on" to place your sims in position and they will squash together when you are done. This is okay! Direct them to walk away from each other and all will be well.